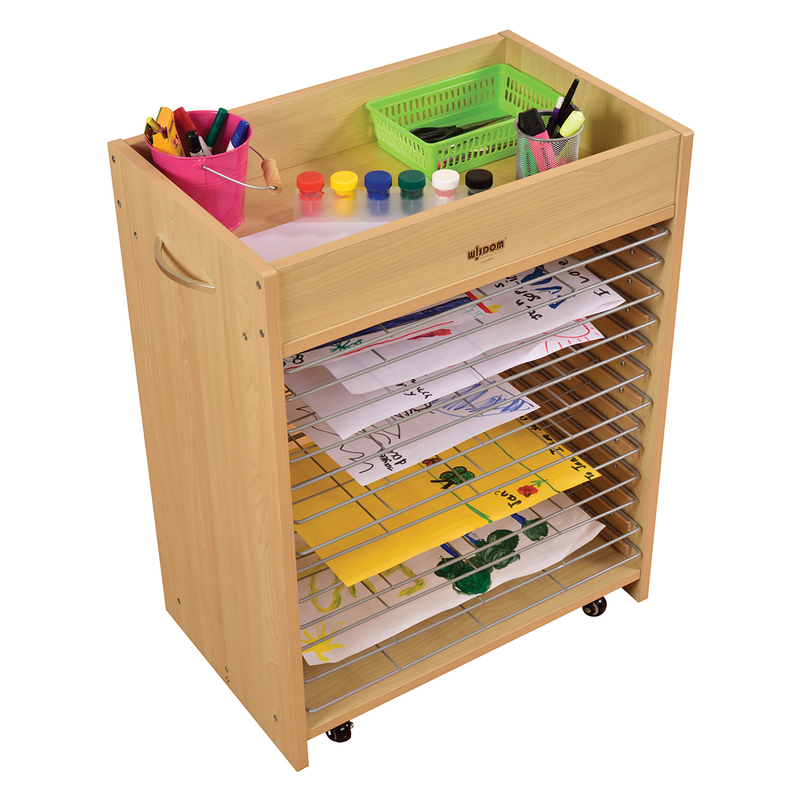 A mobile unit with 13 shelves for maximum storage and drying of artwork (each shelf W590 x D380mm). Useful top shelf for storage of paint pots etc. (100mm deep). 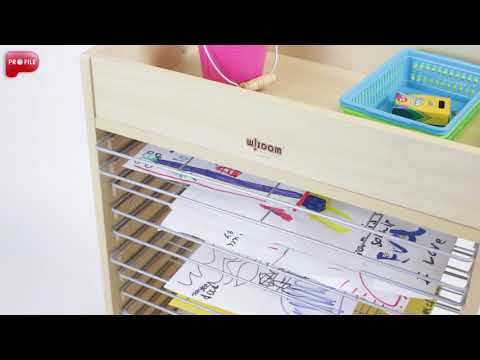 Shelves pull out for easy cleaning. Manufactured from 18mm maple board with tough powder coated steel shelves.